Newly devised phi-phi.com is the only on-line web site to offer a comprehensive package to customers wanting to experience Phi Phi island. This complete one-stop web site offers an in depth guide from the writers who have spent 12 years of living on Phi Phi island. 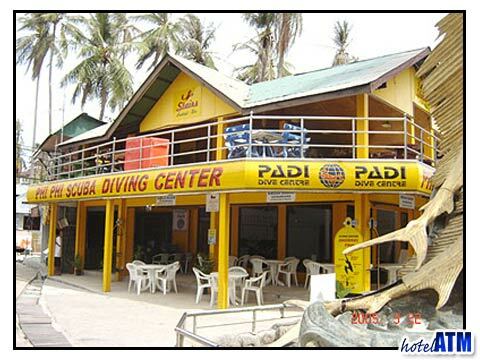 It also features Phi Phi accommodation and water sports that you can easily book online. The site has been developed for those who want a tailor made island hopping holiday in southern Thailand. It also has a superb choice of hotels and travel solutions to all the holiday maker’s island hopping. This makes holiday planning simple. The easy to navigate web site gives the choice of all the 9 main hotels (Updated: July 2008. 26 Phi Phi Hotel and Resorts) on Phi Phi Island and all prices are inclusive of breakfast service and tax- so what you see is what you pay, there are no extras. The prices are the best on the web. On line Payment , fax authorization or bank transfer with Secure Online banking ensure that choosing, reserving and paying form a bungalow are as easy as possible. Planning your trip on phi-phi.com has also been made to be easy. Individual door-to-door transfers including flight tickets, taxis and ferries can be arranged to suite specific needs. The maps and ferry schedule are in superb detail and help you plan your timing of your trip to the island. The Phi Phi weather pages give you a breakdown by season, month, temperature and percentage chance of rain. If you want to know what to do, where to go, what to see, while you are on Phi Phi Don this is the sight for you. Mapping, listing and describing all the beaches and reefs at sea, all the restaurants, night life and businesses on land, this 8 km island is quickly understood with 20 minutes on phi-phi.com. 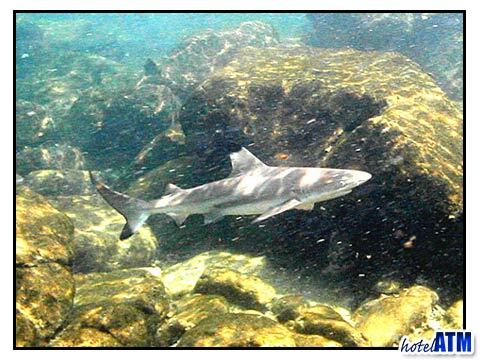 The sections on diving, kayaking, snorkeling and deep sea fishing (catch and release) explain all the tours available and have a section devoted to price reduction for people booking on line. The photo gallery of Phi Phi Island, and its cliffs, beaches and reefs spells out why Phi Phi islands have been voted 3rd most beautiful island in the world. Finally the on line newsletter “Village Life” fills you in on the latest news and tells you about the best deals for hotels and tours. It also has a regular feature on Leonardo Di Caprio, and travelers tips on choosing, fresh fish, and tipping. Travels tips are continually revolving on the home page. phi-phi.com is a Thai and English joint venture. It was the dream of Phil Russell, an Englishman who first visited Thailand almost 9 years ago and his wife Suree who has been running Siam UK Trading Co Ltd for 12 years. It is the natural development from their work in the Thai Tourism Industry promoting travel and accommodation. Our reservation offices are based on Phuket Island and with 14 people staffing our Phi Phi Island offices we can ensure maximum customer ease and comfort. Phil Russell proudly confides... "the in depth service we are able to provide our customers, combined with the technology the Internet has given, ensures top quality service 7-days a week at the touch of a button." Our customers range from ex-pats living and working in Asia such as in Thailand, Hong Kong, Singapore, Taiwan, Japan, Malaysia to our secondary markets of Europe, Australia and U.S.A. As a small island there is a wealth of water sports and a surprising night life and so it’s very popular amongst the 25-55 age group. It is an ideal island for the independent traveler. The future development of phi-phi.com is focused on keeping the guide up to date and working with the hotel and resort owners, to bring the best hotel and bungalow prices to the web.